Report from Tove Maurtvedt, Master in Visual Cultural Studies, University of Tromsø. 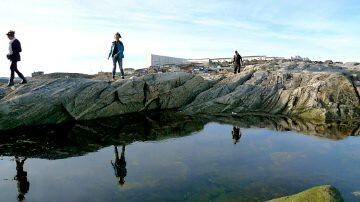 Financial support to the project: “Nature relations and belonging among youths in Nuuk, Greenland. Discovering youth identity management”. The Center for Sami Studies Strategy Fund supported my project Nature relations and belonging among youths in Nuuk, Greenland, through a contribution of NOK 5 000. I spent three months doing fieldwork in Nuuk, Greenland where I discovered, explored and collected material for an ethnographic film and my master thesis. Both the film and thesis are scheduled to be finished at the end of June 2011. Greenland is an autonomous constituent country within Denmark, located between the Arctic and Atlantic Oceans. In January 2008, the total population of Greenland was 56 642, where 88% are Inuit (and Inuit – Danish mixed) and 12 % Europeans, mostly Danish. My fieldwork is located in Nuuk, the capital of Greenland. The total population of Nuuk is approximately 15 500. Anthropological literature, concerning Greenland and the Greenlanders’ relationship to nature has mainly been focused on masculine identity in form of descriptions and analyses of Greenlandic men’s activities related to hunting. My focus, on the other hand, is on youth’s perception of belonging and their identity in the Greenlandic society in the capital Nuuk. In the thesis and the film I will also touch upon questions related to nature and how the youth navigate their identities through their perceptions of environment. During a period of 3 months I held film workshops for a group of teenagers in the aforementioned Sapiik project. This resulted in two films made by local youths. The film workshop enabled me to follow the youth, boys and girls in their daily activities during things like nature excursions and meals. This enabled me to understand to how significant their relation to nature and belonging were their worldviews. The material I collected will be worked with and analyzed with theories mainly taken from within the field of visual anthropology. 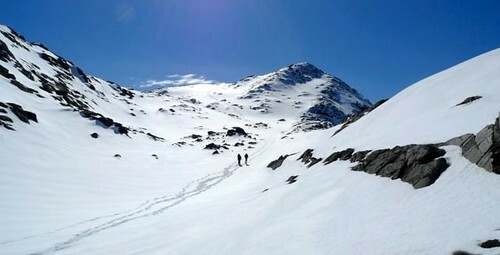 This entry was posted in Master and tagged 2010, fieldwork, Greenland, visual cultural studies. Bookmark the permalink.